Do you work with a lot of files? I do. And it’s hard and tedious to keep everything organized. At weloty, we’re currently we’re transcribing over 200 research interviews files for a client and an easy way to keep tabs on each file is to copy all the file names into an Excel sheet and use that to keep tabs of the files as they go through our workflow. Update 12/2015: I’m no longer updating this post so I can’t guarantee compatibility with latest version of WordPress. Test on your Localhost first before implementing it on your live site! Do you wish to change the order by which your WordPress posts or post excerpts are displayed? You’re not alone! If you write your posts in a chronological manner, you do want to change the default WordPress post order from descending (new to old) to ascending (old to new). How do you achieve this? By the way if you’re looking for a really good web host, try Bluehost – I found the setup procedure and their control panel very easy to adapt to and their IT team is awesome! Update 12/2015: I’m no longer updating this post so I can’t guarantee compatibility with latest version of WordPress, your theme or plugins. Test on your Localhost first before implementing it on your live site! Here are two easy ways to customize your WordPress read more link. If you’re looking for a really good web host for your blog, try Bluehost – I found the setup procedure and their control panel very easy to adapt to and their IT team is awesome! You have a number of files that you’d like to share with your friends and family. The files could be a photo album of your wedding or a 30 minute video clip of your summer vacation. Unfortunately they are too large to attach to an email or too many. There are a lot of cloud storage services out there that you can you. But from my experience, Dropbox beats them all (and I have tried quite a few). Dropbox is a free service that allows you to easily share your files with friends. I use Dropbox to get clients audio and video interview files for transcription. You may have a Dropbox account, if you don’t click here to register for one. All you need is a working email address. 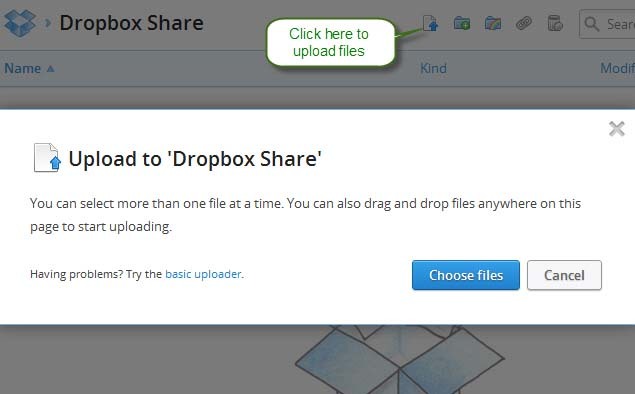 Here is how you share files using Dropbox. Once you’ve logged into your Dropbox account, create a folder and give the folder an appropriate name. Folders are a great way to organize share and organize files. Step 2: Upload the file(s). Upload the files into the folder. The easiest way to do this is to select the file and then drag and drop into Dropbox. Tip: if you have a large number of files, let’s say 500 files in a folder on your desktop or laptop, use Ctrl + A to select all the files and then drag and drop them into the Dropbox folder. Or simply drag the folder from your computer into Dropbox. Step 3: Share the files. Here is the fun part, share the file. You can share a single file by getting a link to the file and emailing the link to friends and family. Click on the get a link icon. If you have multiple files it’s easier to place them in one folder and share the folder. 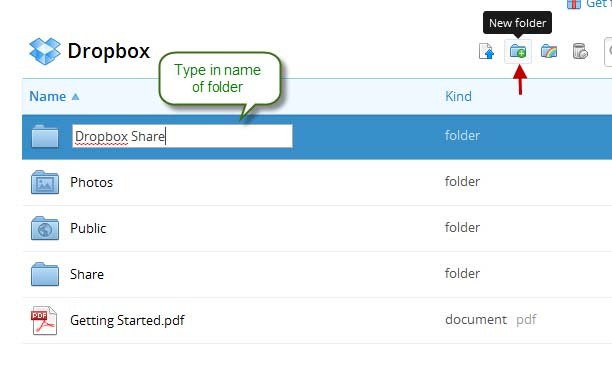 If your friends, colleagues, or family have Dropbox accounts they’ll have the option to add the file or folder into their Dropbox account if you share it via email. Dropbox automatically adds the folder to their account when they accept the invite to join the folder. If you install the Dropbox desktop synchronization program, which I strongly recommend, sharing files becomes as easy as drag and drop. You don’t have to open Dropbox in a browser to share the files! Drag and drop the files into their appropriate folder and it’s all synchronized seamlessly. All this happens in the background. If your connection drops before the files have been synchronized, Dropbox picks up from where it had left off. The only downside to using Dropbox to share files is the space limitation. You only get 2GB space per free account. With its ease of use, a Dropbox accounts soon becomes indispensible to your daily life. You’ll find that 2GB share space is not enough, my tip; delete, delete, delete! There are two ways to manipulate the position of subtitles on over 1.6 million videos that have been uploaded on YouTube with subtitles. (Oh, and the 135 Million that have been automatically captioned by Google). As a viewer you have the option of dragging the captions to any part of the screen. As a channel owner, you’re now able to set the position of the manual subtitles that you upload with your videos. Let me get into details. You need to first click on the red CC button red rectangle on the bottom right hand corner of the viewer window on YouTube. If you can’t see the red CC button red rectangle, the video DOES NOT have manual or automatic YouTube subtitles. You can easily ensure that all the videos you’re watching have subtitles by adding “, cc” [comma][space][cc] to any search, or after searching, click CC filter to only see results with subtitles. Once you’ve clicked on the red CC button red rectangle, a dialog box will appear where you can choose the subtitles track that you want. You can also translate the subtitles to another language, using Googgle’s machine translate. Once you’ve selected the subtitle track, the chosen subtitles will appear on the screen. It’s then very easy for you to drag them to any part of the screen that suits your needs. Another great tip is to use the – and + keyboard keys to decrease or increase subtitles text size respectively. Since March 1st 2012, content creators/channel owners have been able to set the position of subtitles on their YouTube videos. Before then, all subtitles were rendered at the bottom of the screen, by default, irrespective of their placement. YouTube now supports subtitle placement. This means that you’re now able to place text near the character who is speaking, italicize subtitles to indicate an off-camera narrator, or even have scrolling captions. This is a really useful feature, particularly if you have text embedded at the bottom of your screen that you don’t want to be obscured by the subtitles. All you’ll need to do is set the position of each subtitle using your subtitling program of choice and then upload the subtitles with your video. Furthermore, you are no longer restricted to only importing in .SRT format. You can import caption files in .SCC, .CAP, EBU-STL, and other formats. With our professional subtitling services, we’ll set the position of the subtitles for you and also get them to you in a variety of formats: at a price that won’t break the bank! Ever wondered how you to share that homemade DVD with your family and friends? Most people these days already have bit torrent clients installed and creating a torrent is one of the easiest and fastest way to share large files. In our transcription and subtitling business, we use torrents files to share large video and audio files with our clients. Here’s why. Unlike other ways of sharing large files, torrents are fast and you can stop and resume them. And you don’t need to index them on piratebay or other sites in order for you to share them with friends, colleagues and family. In fact, if you’re sharing a private file, you do not want to index the file on a public site. But what are torrent files? Torrent files contain a bit of information about the files you want to send, the address of the tracker computer, etc. When you send this file to someone (email, Skype, chat, or any other way) and they open it, their uTorrent client connects to the tracker and asks it to tell them who else has this file. The tracker does this, and they connect to you and other people and download the parts of the file they don’t have and upload the parts they have. Torrents enforce 99% quality control by filtering out corrupted and dummy files, ensuring that downloads contain only what they claim to contain. It’s that simple. The information in the torrent file makes sure that the data you download is correct and not corrupt somehow, and the tracker’s job is to tell people who has the file and where it is. As you’re the creator of the torrent, you are both the tracker and the seed (the person who has the file and is sharing it with others), but there is no reason why these can’t be (and usually are) on different computers. Having multiple seeders speeds up the download rate of the file. 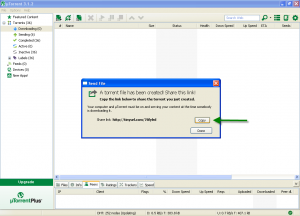 Creating a torrent that shares your own files is very simple. All you need is a good torrent program to get you started on sharing your personal files. uTorrent is a fast, and very tiny BitTorrent client and it’s free. No wonder it’s one of the most popular. 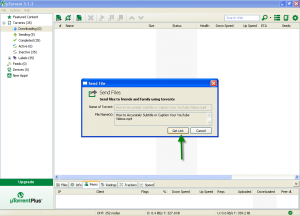 Here are 3 easy steps on how you can create and share a torrent file using uTorrent. Download and install uTorrent. You can download uTorrent here. Open uTorrent. Open uTorrent. Find the file/folder you wish to share from your hard drive. 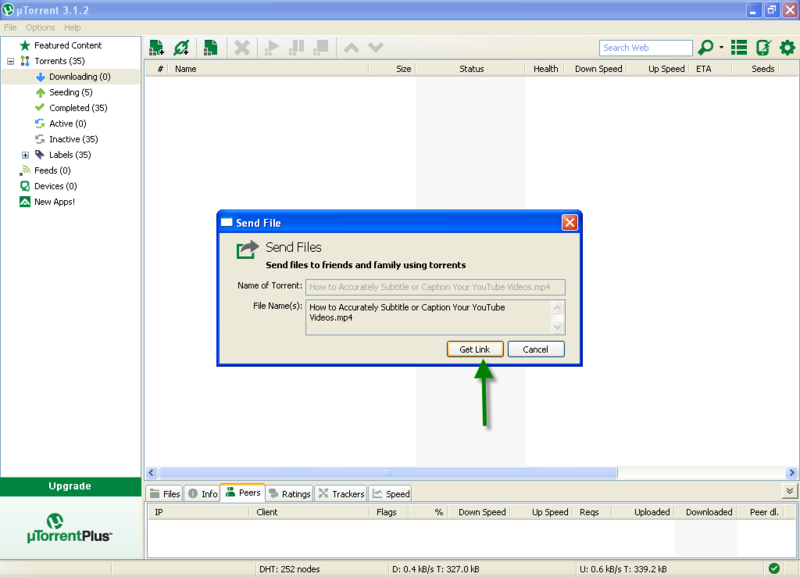 Select it and drag and drop the file/folder you want to share anywhere in uTorrent. A send file dialog box pops ups. Click on get link. Copy url link and share it with friends. uTorrent automatically creates a torrent of the file and provides a link that you’ll use to share the file with your friends, family or colleagues. Copy and share this link with whomever you wish to share the file with. Go ahead and create your first torrent! Happy sharing. NBs: Only people with uTorrent installed can access the torrent. You’ll need to seed the file, (have your computer and uTorrent on), for others to download it. What is the second most visited search engine? YouTube. But you already knew that. That’s why you have a YouTube channel. It may have dawned to you that your YouTube channel is as important as your website. But you know what, it’s far more important; for the simple reason that it can set you apart from your competitors. It can and it should. Now, the major difference between your website and your YouTube Channel is the form of media that you use to communicate with your client. Your website is mainly text based, and your YouTube channel is image based. Subtitling the YouTube videos you upload translates the image media into a text based media. What are the benefits of this? Let me share 5. Subtitles make your YouTube videos text searchable and thus search engine friendly. You benefit because your video is ranked higher by Google. End result, you get more views, hits and traffic to your website. Captioning your YouTube videos is a killer SEO secret that your competitors probably don’t know about. That’s what sets you apart. Your viewers maybe in an environment where access to audio is limited or impossible, captioning or subtitling your YouTube videos allows them to enjoy it whether they are in a noisy bus, library or in a concert. Subtitles improve the accessibility of your YouTube video and help your message reach a larger audience. Deaf and hearing impaired individuals enjoy greater access to the information in your video. 350 million people speak English as their first language worldwide. 1.4 billion people speak English as their second, third, and fourth language. Do the math. Captioning your YouTube videos improves comprehension and retention of your message for all of your viewers. This is an often overlooked factor; but think about it for a minute. If you’ve not uploaded captions for your YouTube videos, Google uses the automatic-machine subtitles to index your video. We all know that those subtitless should not be used for anything else other than amusement. When Google uses them to index your video, there is going to be a mismatch between the content of your video and what search engines see as the content of your video. To avoid this, you need accurate captions of your video and you’ll be able to connect to your target audience. There you have it, the 5 reason why you should caption or subtitle your YouTube videos. The only probable reason why you wouldn’t manually add accurate subtitles to your YouTube videos is because it’s a difficult, tedious and a time consuming job. And getting someone else to do it for you will peg you back $50-$100 for a 5 minute video. That’s unaffordable for most of us, right? No to worry, you can get your YouTube videos subtitled affordably and accurately here. If you wish to get more views on YouTube and more targeted traffic to your website, subtitle your YouTube videos. You’ll be surprised by the results! Want to get more views on your YouTube videos? YouTube captions are a great way to search engine optimize your videos and keep you miles ahead of the competition. We’re offering a great New Year’s deal to new clients. Watch this video and learn how we can help you accurately subtitle or caption your YouTube Videos. For more information on our subtitling services, click here. Do you have a bulky audio file that you’d like to share or play on your mobile devices. Compressing or converting an audio file enables you to easily share and move the file between devices. 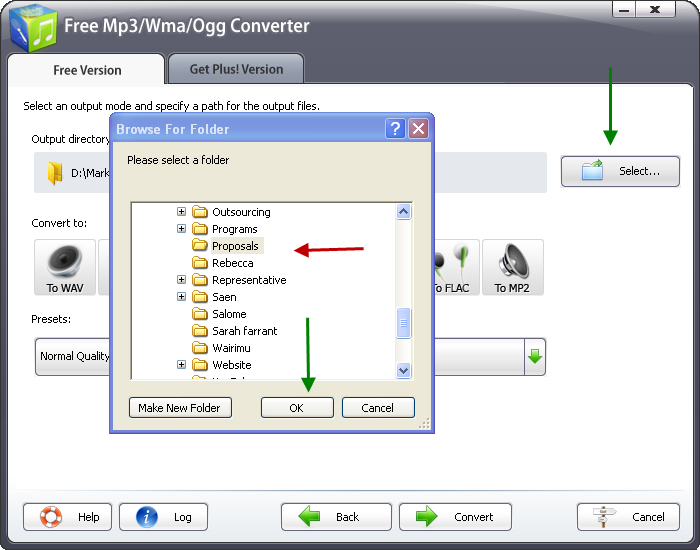 One of the best free audio convertors is the Free Mp3/Wma/Ogg Converter. I’ve been using it for a couple of years to compress files for transcription and I find it to be reliable and easy to use. Let me show you how you can compress an audio file in 5 simple steps. 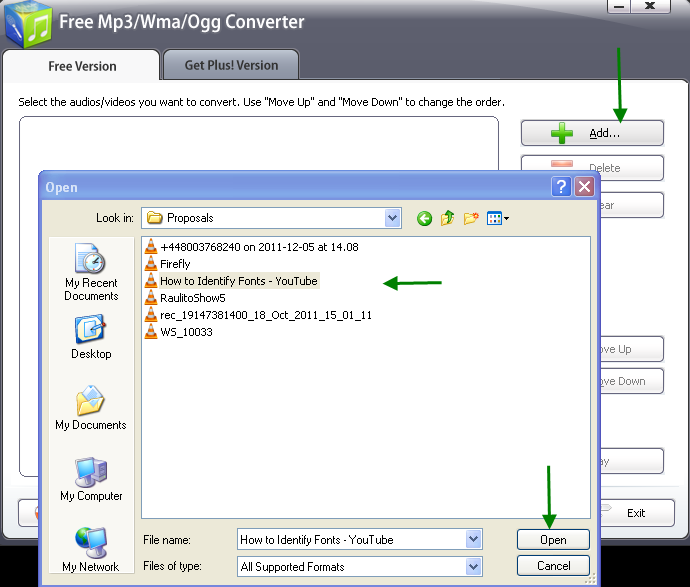 First download the Free Mp3/Wma/Ogg Converter and install it to your computer. Run the software and click on the add button. A window opens that allows you to select the file you wish to compress or convert. Click on Open to add the file. The file is added into the Free Mp3/Wma/Ogg Converter and is ready to be compressed. You can add more files if you wish. Click on next to take you the next step. Now you’ll need to designate the folder you wish your output file to be saved in. Click on the select tab and a Browse for folder window opens. Select the folder you wish the output file to be saved to and click ok. Step three of five on how to compress a file to a 10% of it’s size. You need to select the format of the output file. Mp3 if a popular format but only offers average compression. M4A is a less popular format but it offers higher compression. From experience, I find that the Mp3 format compresses a WMA lossless file to around 20% of its original size. On the other hand, the M4A format compress a WMA lossless file to about 10% of its original size. The output files are of similar quality. Once you have selected the format, you need to select quality of the output audio. Keep in mind that the higher the quality, the larger the file. When you’ve selected the quality of the audio, click on Covert to start the compression process. Step 5: Check Progress of conversion; have a cuppa! A conversion progress window opens. You can use this to check the progress of your conversion. When the conversion is done, a window will automatically open that has a link to the output folder. If you wish to convert more files, click on Finish. That’s it. You’ve compressed your audio file in 5 Easy Steps. 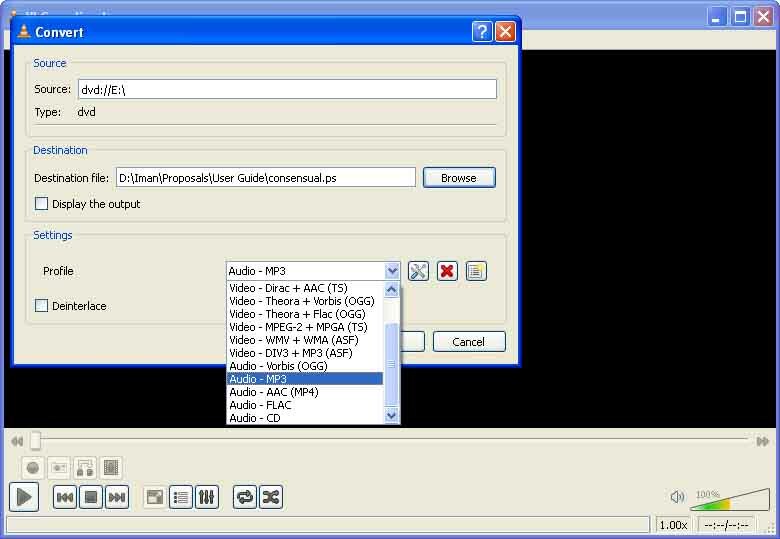 There are many instances where you may need to extract the audio from a DVD aka rip audio from a DVD. As a transcriber, I often find it necessary to extract audio from a client’s DVD for easier transcription. There are many software that can rip audio from videos and DVDs. However, they’re expensive and sometimes don’t work. I recently discovered an easy and free way to extract audio from and videos and DVDS. Let me share it with you. This works for all video files, CD, DVDs, bluray that can play on VLC media player; that’s almost any multimedia you can play using vlc media player. 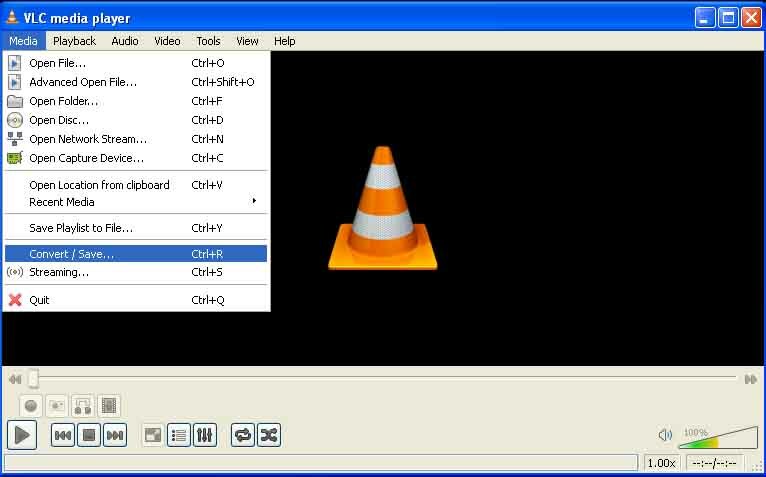 Download the latest version of windows VLC media player here. Insert the DVD/CD into your computers DVD/CD ROM player. Open VLC media player and click on the Media tab. Scroll down and select convert/save to open the Open Media window. NB: You can also use the shortcut keys ctril+r to open the Open Media window. 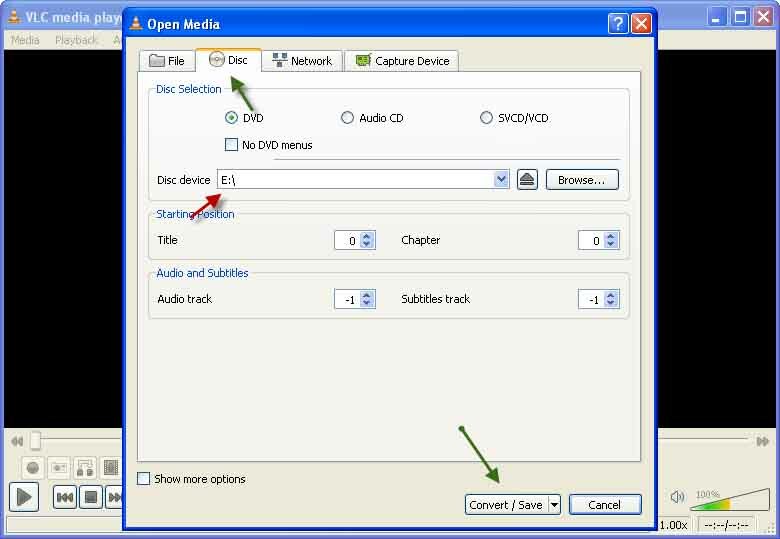 In the Open Media Window, click on the Disc Tab. If you have more than one DVD/CD ROM player/drive make sure the appropriate one, that has the DVD, is selected as the Disc Device. Click on the Convert/Save button to open the Convert window. 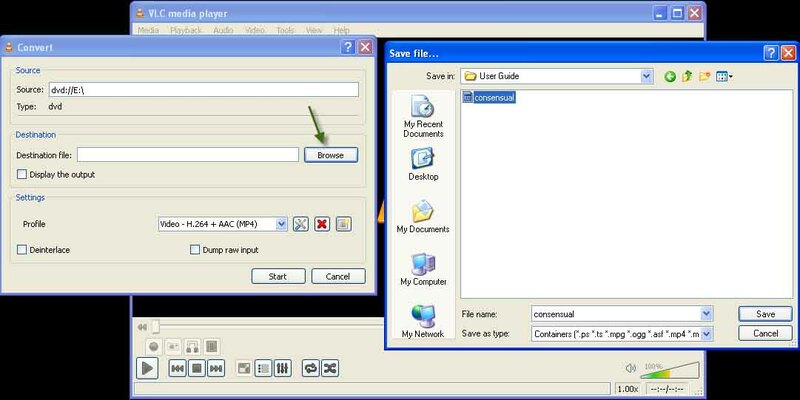 In the Convert window, click on the Browse button to open the Save file window. Choose a destination folder and name for the extracted audio file. Select the Audio-mp3 profile from the profile drop down menu. Step 5: Click Start to Begin Extraction. Click on the Start Button to begin the extraction. VLC should begin streaming. It take less than 5 minutes to stream an hour of video. That’s it. It’s free and you can do it in 5 easy steps! All the best ripping audio from DVDs. NB: 7 years ago, I used VLC media player 1.1.4 to create this user guide. Get the latest version here.